Trump's bid to undo Obama's Arctic Ocean withdrawals by executive order rather than legislative victories may've backfired, potentially tying up the issue in courts for a long time. Trump administration officials and oil industry allies love to chant the words “energy dominance” and praise the president’s thirst for more oil and gas development, including in the Arctic waters off the coast of Alaska. Had the administration put more energy into facing the legalities of offshore oil and gas leasing and tried to amend existing federal law, it might have created a better chance for such efforts to succeed. 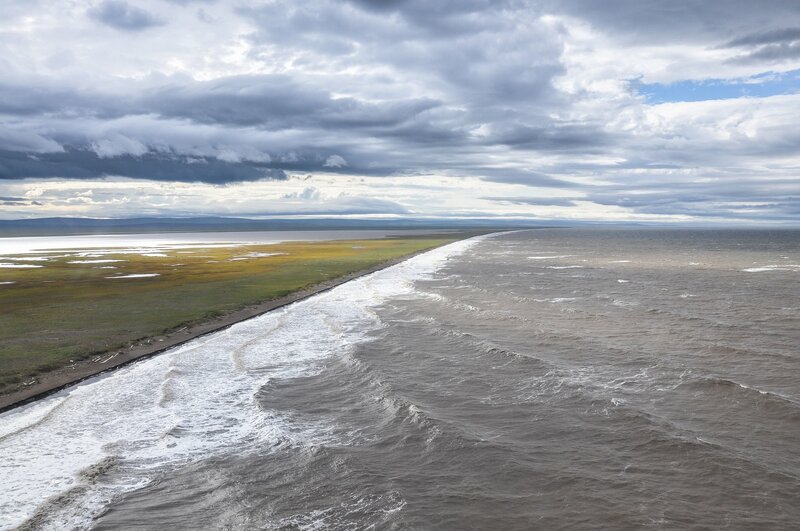 Instead, the Trump plan for more drilling in the Chukchi and Beaufort seas is dead in the water and could remain so for years while a legal battle over presidential power makes it way to the U.S. Supreme Court. It is likely headed next to the 9th U.S. Circuit Court of Appeals that deals with Western states, followed by an appeal to the nation’s highest court. On March 28, Alaska District Court Judge Sharon Gleason rejected plans by the Trump administration to allow lease sales in those waters, citing a 1953 law about jurisdiction in the Outer Continental Shelf. Those 24 words, used to justify numerous withdrawals by presidents over six decades, have emerged as the most important words in federal law to those who want oil development and those who want it stopped. On Dec. 20, 2016, as his administration was drawing to an end, President Obama withdrew 119 million acres of submerged lands from oil and gas leasing, using that 24-word sentence as his authority. The order included lands under the Chukchi and Beaufort seas in the Arctic, as well as territory off the Atlantic Coast. On April 28, 2017 President Trump issued an order of his own attempting to overturn the withdrawal, which led to a lawsuit five days later. What he called his “America-First Offshore Energy Strategy,” was an attempt to erase Obama’s restrictions. In their lawsuit, the environmental groups said Congress did not include any language or provisions to allow future presidents to reverse OCS withdrawals once they had taken place. Had Congress wanted to allow this to work both ways, it would have said so and delegated the power to the president, according to the plaintiffs in the case. “Missing from the section is statutory authorization for the president to ‘un-withdraw’ lands that had been previously subject to an executive withdrawal,” associate law professor Kevin Leske of the Barry University School of Law wrote in the New York University Environmental Law Journal. There is a long history of federal actions in which Congress has dealt with land withdrawals and included, when it wished to do so, stipulations that the withdrawals would continue unless they were revoked by a president or Congress. In some ways this court decision was predictable. “The text of Section 12(a) refers only to the withdrawal of lands; it does not expressly authorize the President to revoke a prior withdrawal. Congress appears to have expressed one concept — withdrawal — and excluded the converse — revocation,” Gleason wrote in her decision. The Trump administration could have tried in 2017 to get Congress to approve reversing a land withdrawal, though that would have faced heavy opposition from Democrats and conservationists. It was clear all along that it would lead to a lengthy court battle, one that may outlast the Trump administration.